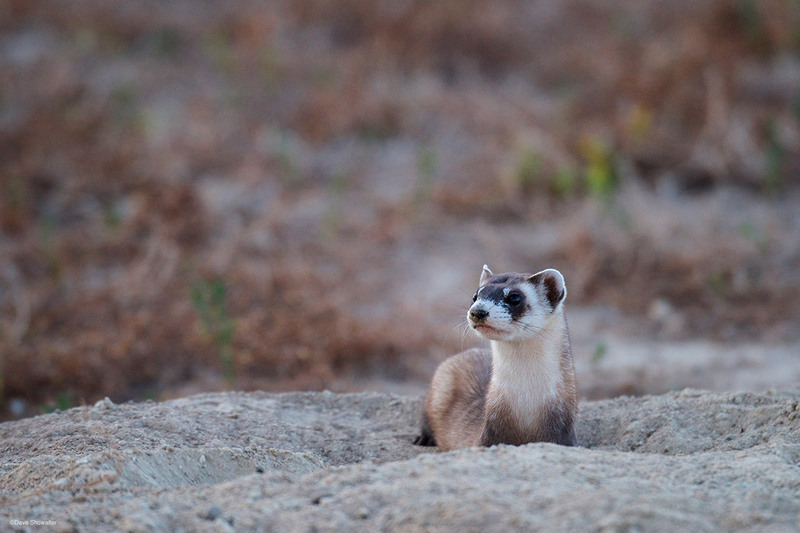 An endangered black-footed ferret looks out from a black-tailed prairie dog burrow. Black-footed ferrets, once thought to be extinct, have made a strong recovery since being rediscovered in Meeteetse, Wyoming in 1981. They're not out of the woods though. These mustelids depend on prairie dogs for nearly 100% of their diet and large prairie dog complexes have been mostly wiped out in the western U.S. The ferret was bred in captivity and released at Rocky Mountain Arsenal NWR in September, 2015. Photo © copyright by Dave Showalter.